Mr. Udom Emmanuel, the Akwa Ibom State governor, has called on institutions of higher learning across the country to equip graduates with requisite skills that would enable them measure up with their counterparts in the globally competitive work environment. 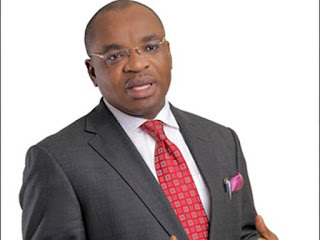 Governor Emmanuel made the call during the 2nd and 3rd Convocation of Akwa Ibom State University held at Ikot Akpaden main campus of the institution. He acknowledged that the world is undergoing changes and urged citadels of learning to prepare students to view the world as a vast land of opportunities where they would translate creative ideas into sustainable wealth and cited people like Mark Zuckerberg, Steve Job, Michael Dell and others whom he said have impacted the World through creative endeavours. The governor said that his administration has started the process by sending youths abroad to learn and equip themselves with skills that would make them drivers of industrialisation programme of the administration. He explained that the second convocation of the institution could not hold because of accreditation issues and commended the University management for securing the accreditation adding that brighter future and great expectations await students as they undergo training in the institution. Emmanuel commended the graduating class of 2017 for conducting themselves in a manner that qualify them for the award of degrees and certificates in various disciplines and wished them well as they take up the challenge of building their career in the future. “I have no doubt that the quality of education you have received here will stand you in good stead to compete with your contemporaries and in the process, project the foundational tenets and vision of this great institution as it ambassadors,” he stated. Emmanuel, the Visitor to the university, expressed appreciation to the Chancellor, the Emir of Kazaure, Alhaji Najib Adamu; the Governing Board, and the Vice Chancellor, Professor Eno Ibanga, for maintaining academic excellence thereby making the institution among the best in the country. While pledging his administration’s resolve to provide quality and affordable education to every citizen, the governor urged the university to explore ways of increasing it revenue profile using available facilities in the school and made a job offer to the best graduating student Mr. Evans Joel Udom. The Pro-Chancellor, Engr. A. S. Udofia, stated that the school has enjoyed appreciable growth in terms of physical infrastructure and student enrolment adding that decent hostels, classrooms, standard libraries, laboratories, state of the art studio, ultra-modern performing art theatre as well as qualified lecturers have been provided to enable students excel in their studies. He thanked the governor for fast- tracking development in the university assuring that the institution has been strategically positioned to contribute to the realization of industrialisation and other lofty programmes of the state administration. The Vice Chancellor, Professor Eno Ibanga, said that additional facilities have been provided to accommodate the increasing number of students which he put at 7,857. He explained that the second convocation was for students who had completed their academic programmes in the 2014 /2015 session, while the third convocation was for those who concluded their studies in the 2015/2016 session. He said that no case of cultism has been recorded in the university and that 88 students were currently benefiting from scholarship programme from various organisations.